If you want to make some changes to your home interiors without blowing your budget or completely over-hauling your interiors then curate and display, darlings! Display pieces such as vases, ornaments, quirky bookends and coloured glass bottles are all easy ways to update the home without much time and effort. The trick is to create a style spot on your coffee table, mantlepiece, book shelf and more using pieces that are either texturally interesting, add colour to your interiors or adds heights, layers and dimensions. 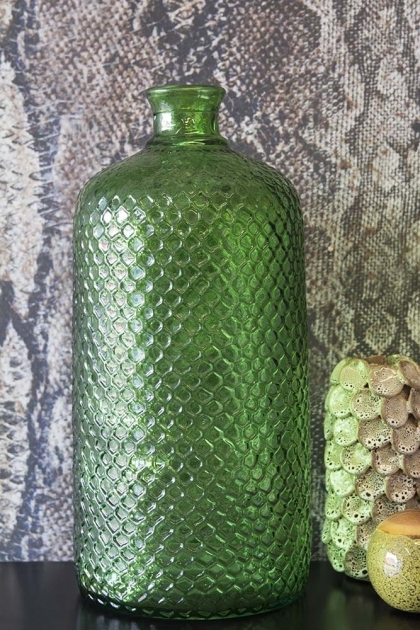 A versatile piece, the Green Glass Textured Bottle will not only add a colour pop to your interiors but is also texturally pleasing with a gorgeous honeycomb detailing. 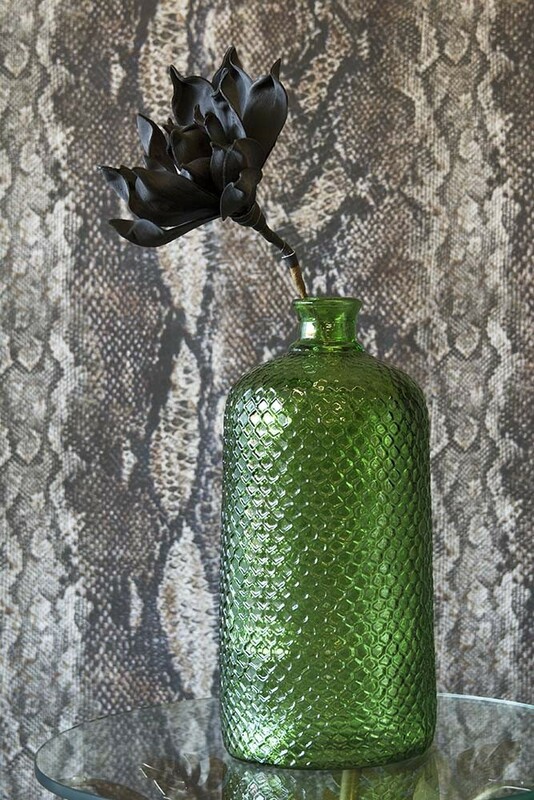 Use the Green Glass Textured Bottle as a vase or display piece and transform and upgrade your interiors … RSG Style!